Pallares, O.; Bouvet, P.; Del Rio, J. Time synchronization is an important part of distributed applications over a sensor network. In this work we investigate time synchronization problems over a shallow UWSN, taking into account all main communication challenges of the water channel and observing its behavior in simulation and real tests. It is proposed an hybrid frame based time sinchronization using both, LFM and OFDM communication with channel impulse response equalization. Simulation results show how Hybrid synchronization outperforms existing synchronization protocols and how these results sults are affected in real water tests. Pallares, O.; Bouvet, P.; Del Rio, J. Hybrid time synchronization for Underwater Sensor Networks. A: Symposium on Measurements of Electrical Quantities. 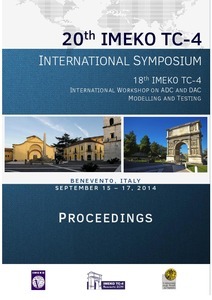 "20th IMEKO TC4 International Symposium and 18th International Workshop on ADC Modelling and Testing : Research on Electric and Electronic Measurement for the Economic Upturn : Proceedings". Benevento: 2014, p. 166-170.